It is that time of the year. October 26 is National Pumpkin day. The pumpkins are everywhere and it’s time to think of new and tasty ways to use them after the carving is done and it’s time to think ahead to Halloween and Thanksgiving. These pumpkin recipes are the perfect way to use up those pumpkins after you finish carving them! 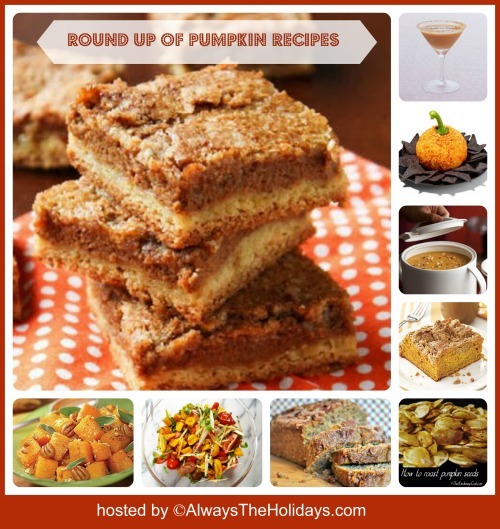 Round Up of Pumpkin Recipes for Halloween and Thanksgiving. Try one of these pumpkin recipes to amaze your holiday guests. They will be glad they are staying with you instead of at a hotel! 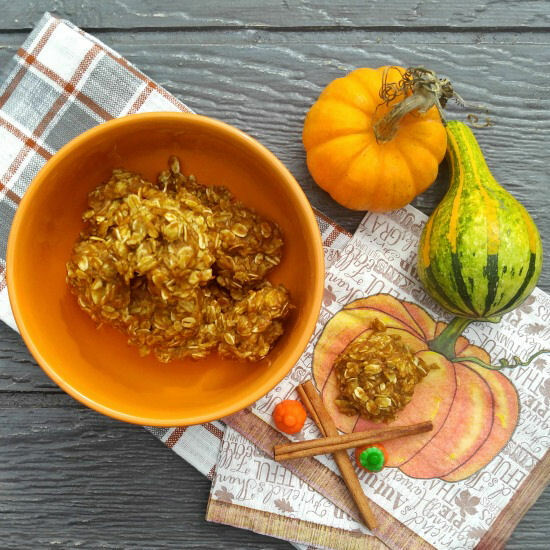 I thought I would work my way through the day (and next) for this Round up of Pumpkin recipes just for fun. I doubt you would want to serve them all, or you would be pumpkined out, but one or two might appeal! Just click on any of the pictures to go to the recipes. 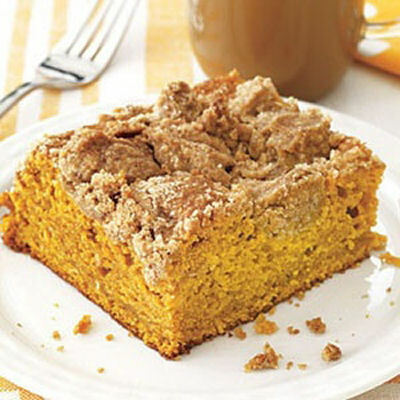 If your house guests will be staying overnight, this pumpkin crumb coffee cake will be the perfect way to start their day off in the right way. It’s packed with brown sugar and spices and just plain delicious. See how to make this great coffee cake at My Recipes. 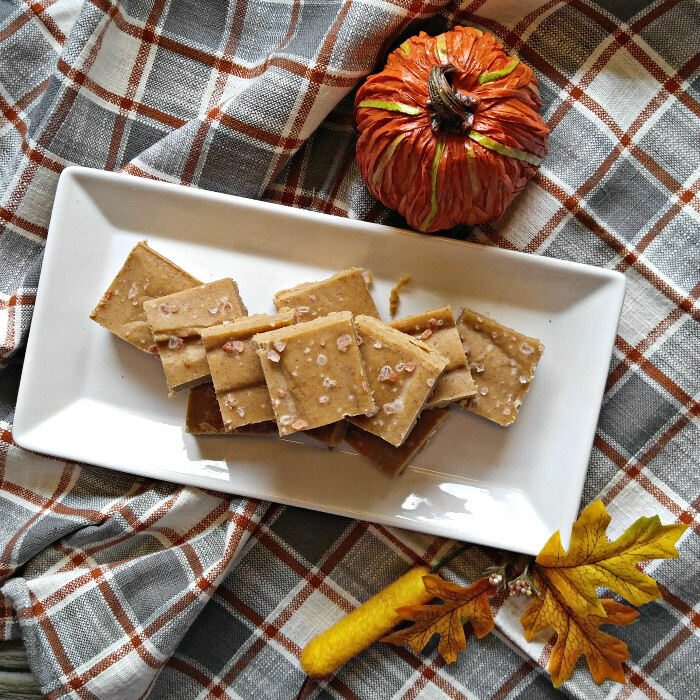 Pumpkin puree combines with coconut oil and coconut butter to make the most deliciously creamy salted pumpkin fudge. It’s a keeper and is vegan, paleo and low sugar, too! 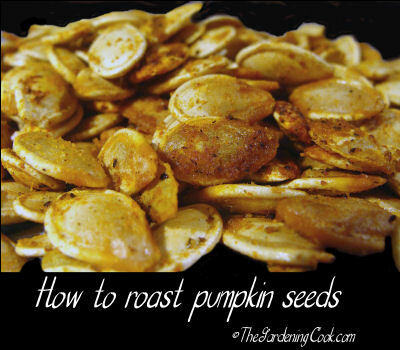 Looking for something to snack on for the game on Thanksgiving day? These Toasted pumpkins seeds will be perfect. See how to do them at The Gardening Cook. This is the perfect way to start your party out right. 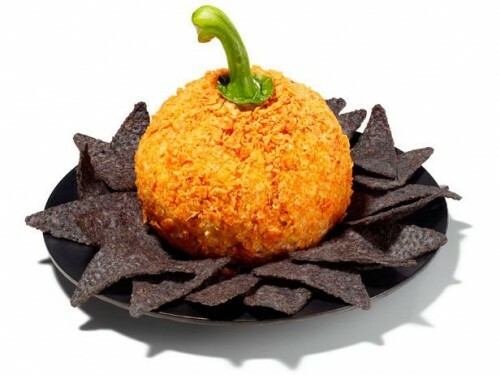 A pumpkin cheese ball with dark pita chips. Get the recipe at Food Network. 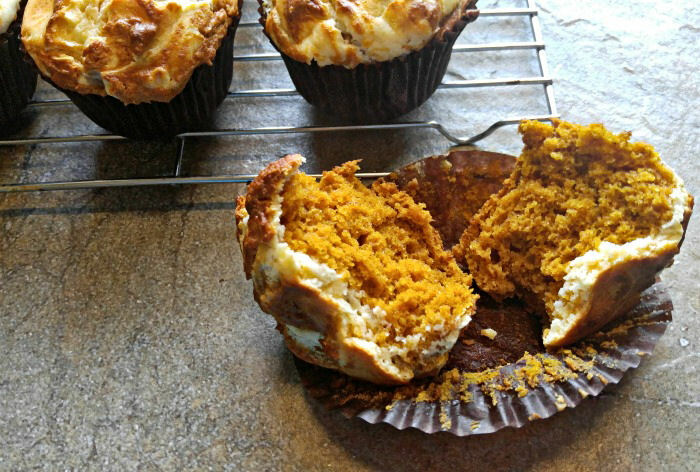 These pumpkin cheesecake muffins have a rich pumpkin base and swirled cheesecake top. Best muffin I have ever made! 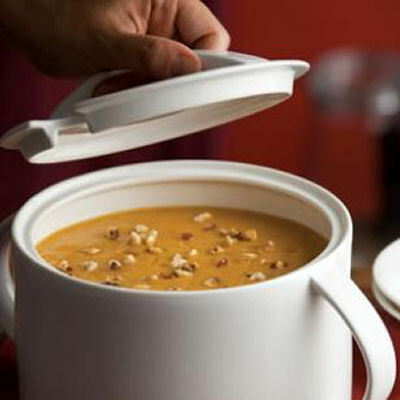 This Roasted pumpkin, apple and hazelnut soup from Eating Well might be the perfect way to start your Thanksgiving meal off if you like to serve soup. It is a healthy option for those trying to watch their weight, as much as that is possible on Thanksgiving! If you like no bake cookies as much as I do, give these pumpkin spice cookies a try. They are gluten free and vegan and taste amazing. 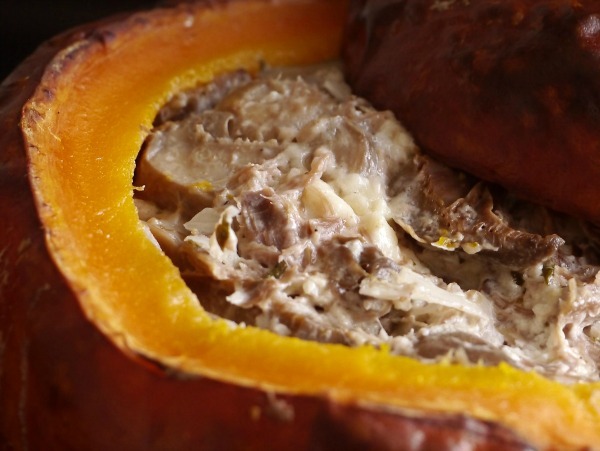 This festive pumpkin dip is rich and delicious and is baked and served in a pumpkin shell. It sets the holiday mood right away just looking at it. Recipe: The Gardening Cook. 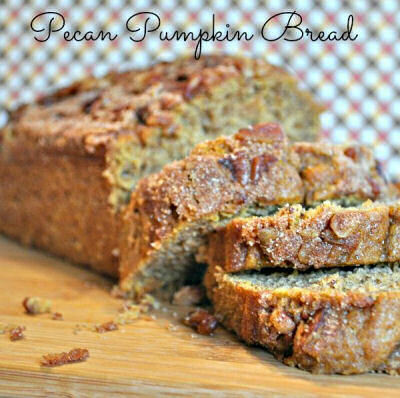 This pecan and pumpkin bread will have your whole house smelling like the holidays. The fabulous blend of cinnamon, ginger, nutmeg and cloves just screams Thanksgiving. See the recipe at The Rebel Chick. Butternut pumpkin is the star of this dish. 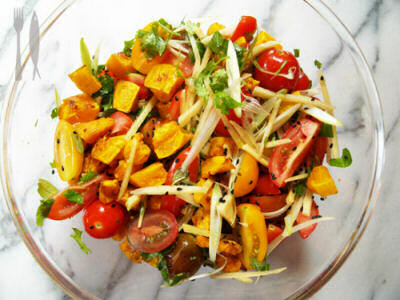 Just toss tomatoes, roasted butternut pumpkin and fresh ginger together with tomatoes, sweet peppers, thinly sliced selery and baby greens. Top with a store bought sesame seed dressing for a delicious lunch. No round up of pumpkin recipes would be complete without a cocktail. 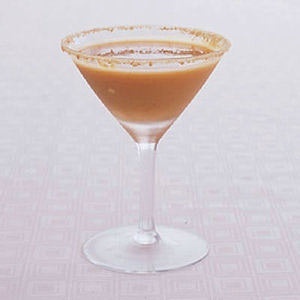 This delicious maple and rum Pumpkin cocktail is like pumpkin pie in a glass. Get the recipe at Recipes Just 4U. Hi Jenn. My pleasure! That Banana bread looks delicious!